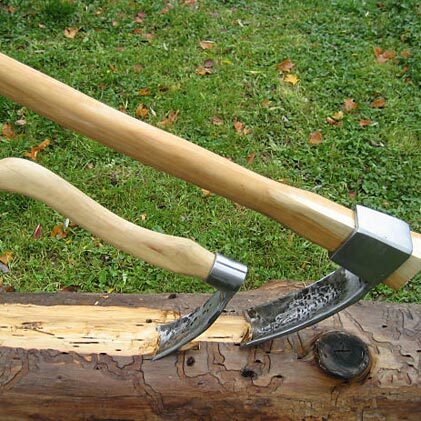 Traditional look and feel, yet newly-designed, hand and production forged tools for timber framing, wood working, and log building. Forging is one of the oldest known metalworking processes. Forged tools are stronger than machined tools. Traditionally, forging was performed by a smith using hammer and anvil. 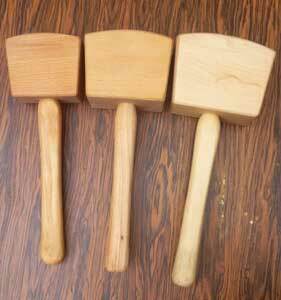 Although the use of water power in the production and working of iron dates to the 12th century, the hammer and anvil are not obsolete. However, the smithy or forge that produced framing tools in virtually every town became obsolete in the late 19th century. Forging has evolved. Engineered facilities, processes, production equipment, tooling, raw materials and products now meet the demands of modern customers. For example, to hot-forge our framing chisel sets, billets (round stock) are first heated in a high-temperature furnace (sometimes referred to as the forge). Then hammer strikes form the workpiece, allowing the material to flow into the outlines of a set of open dies. As the metal is shaped during the forging process, its internal grains form and align to follow the overall shape of the part. 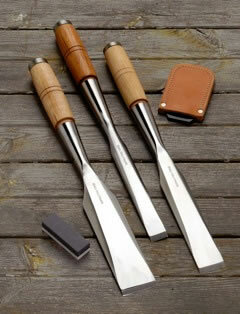 As a result, the grain is continuous throughout the part, creating a tool with improved strength characteristics. Our tools are forged from a very special carbon tool steel. This steel is especially tough and resilient, with a service life similar to that of a truck/lorry spring. The tools are heat treated several times, including a space-age tempering process which gives the edges additional service life, then finished with a final polish. 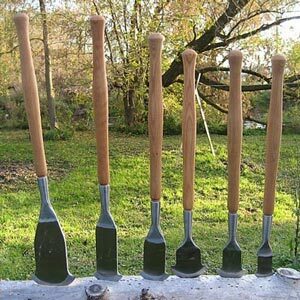 With a long-lasting edge, these steel tools are also easy to hone despite their hardness of 59-60 Rockwell. The edges are shaped with a hollow grind, that can be re-honed quickly and repeatedly as they are not as hard and brittle, as Japanese-made chisels often are. 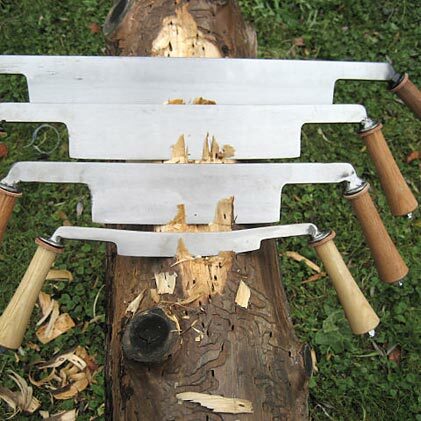 These tools are ideally suited for the hard and soft woods of American and European timbers. The tools are delivered polished, sharpened and honed.